The other night I went with some friends to see this dance phenomenon which had beautiful choreography and amazing music. For most of the night I was ready to hop out of my seat and dance a little Irish jig in the aisle. I wished all of the family’s little dancers were there because I was quite sure they would’ve done just that-as compelling as the music is. As I entered our “theatre” downtown I was surprised at how much personality it has, especially for how small it is but it was a nice surprise because my $23 landed me a stellar seat. On the way there I asked the other girls (who had set up the outing) to give me some background so that I could be an educated patron of the arts. To my surprise none of them really knew anything about it. As I sat through the entire show trying to figure out the storyline and background (because I didn’t want to pay $15 for a program when I could get it free online), I realized that I took for granted all those times my mom did her research before presenting us with a cultural experience. She is always ready to answer our questions and give us background be it for a painting, a musical or a location. I vowed that next time I’d learn from her example and be ready to educate myself and anyone else interested. How fun that must have been! I would have had to do homework for that one as well. I could just picture the princesses dancing in the aisles though, made me smile. Fun! The most culturally enriching thing I have done lately was go see “Video Games: Live” presented by the Utah Symphony…they played a bunch of music from video games. 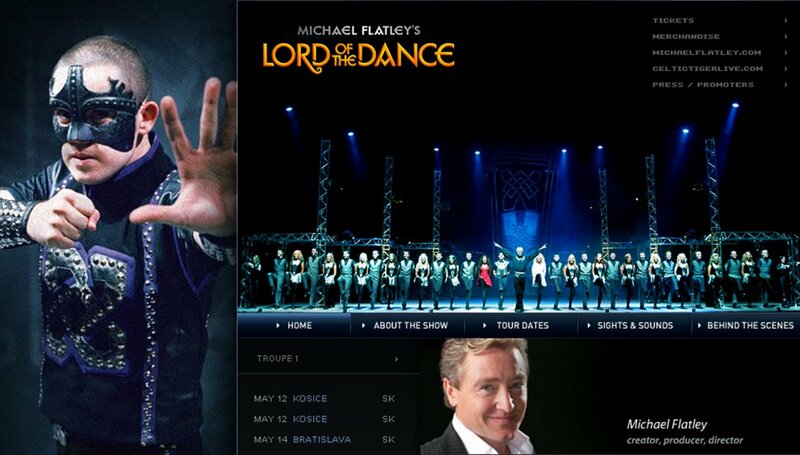 Though it was fun, Lord of the Dance was surely much cooler. I have not been to any culturally enriching place in a long time, but we were going to go see Peter Pan at the outdoor theater before we got sick around here. That’s cool you saw the real thing. Last weekend Shawn performed at a productions put on by the Sojurn dance company, primarily Julie Boye, Alex Boye’s wife. They had dancers from different cultures, and they had an Irish Company. It was so beautiful and I thought, how neat that girls can have the opportunity to learn this style of dance right here in Salt Lake! It was a benefit concert for a non profit group that does humanitarian work in Africa, It was rather moving actually. Anyway, I’m glad you got to see the show!